Just found an amazing cat while doing some research. 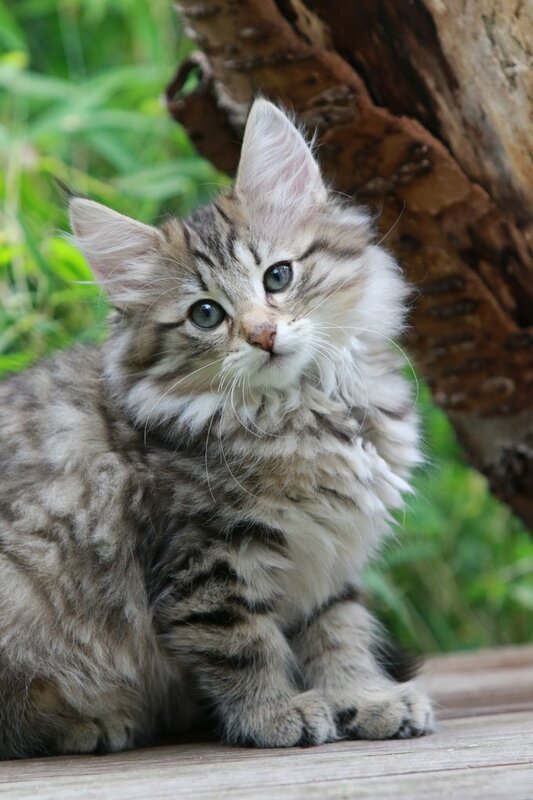 The Norwegian Forest Cat nicknamed the Wegie. The Wegie has a triangular shaped head with heavily tufted ears and a pointed chin. Large almond shaped eyes in green, gold or copper complete their beautiful face. They have a longer body with a broad chest and muscular thighs. Its bushy tail is as long as it's body. Their paws are large with tufts of fur between their toes. They are noted for their long thick coats and larger size. Their weatherproof double coat will vary in length and thickness depending on the seasons. The coat on their body is long and flowing with long hair covering their hind legs. They have a "bib" look which starts with a short collar at the neck and "mutton chops" on the side and a full frontal ruff. You can find them in almost any color except chocolate, lavender, lilac or a pointed pattern. Take a look at this gorgeous cat. Who wouldn't love to have one?